Should Muslim Women Feel Lucky to Live in Western Countries? The criticism I hate receiving the most is always along the lines of, “As a Muslim woman, you shouldn’t be speaking about violence against you in the West, because at least it’s not as bad as how your people treat you in the Muslim world!” This attitude is often not only adopted by bigots and some nationalist conservatives, but also by white feminists who claim women’s empowerment to be their prerogative. As a Muslim feminist, I will tell you that our calls for equality don’t stop at the borders of Islamic thought; they start there. First, there is something to be said about a Christian white woman referencing her Mormon background in an attempt to legitimize her opinions about brown Muslim women. Even when a Muslim woman asserts her voice, a white non-Muslim woman can still feel entitled to assert her own baseless opinions as the true narrative for Muslim women. Sheffield, in speaking about false equivalency, ironically makes one herself when she says that I “essentially said that the horrible French move to ban the ‘burkini’ is essentially on par with an anti-woman acid attack.” I did not say this, but rather I was attempting to explain to Sheffield’s white feminist thought is that both acts of violence are symptomatic of the patriarchal societies in which we live, manifest through different ways in different cultures. In this way, we cannot attribute the act to a religion through an orientalist lens of “us vs. them,” which Sheffield undeniably partakes in while in the same breath criticizing Donald Trump for it. Rather, it is incumbent upon intersectional feminism to contextualize such acts of violence against women to their respective societies. For example, a simple Google search would reveal that acid attack victims are made up of Muslims as well as Christians and Hindus, women who make up the geographical Southwest Asian region to which Sheffield roughly refers. However, it’s also a form of violence that takes place in other parts of the world, like in Colombia, where acid attacks per capita far exceeded that of Pakistan this year. In seeing the diversity of the victims of this act of violence, the one common thread between them is simple: they are usually always women. Meanwhile, in the United States, domestic violence is a leading cause of death for women ages 15-44, according to the Centers for Disease Control and Prevention. The American Medical Association estimates that a woman is assaulted in the U.S. every 9 seconds. Both are male exertions of violence against women that culturally take form in different ways, but the root is the same: control over women. 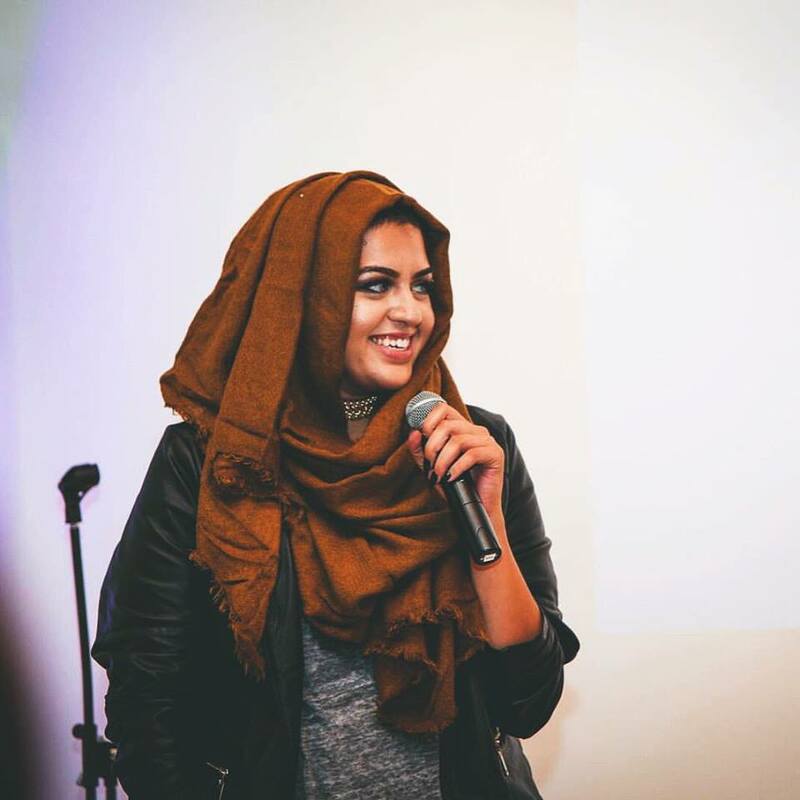 In addition to the marked condescension and paternal undertones that characterize white feminism in conversations surrounding women of color, Sheffield’s limited scope of issues like acid attacks as being only specific to Muslim girls is a microcosmic example of the way the West has treated the conversation around Muslim women for at least the greater part of the last decade and a half since 9/11: Like it is an expert in topics surrounding their oppression, all the while being complacent in it and absolving itself of the responsibility. In her essay, Sheffield did exactly what white feminism does, what Islamophobic rhetoric does, and what orientalism itself functions to do, which is to take the nuance out of the conversation. Try to make it as simple and black and white as possible because the details are too inconvenient, even if that’s how entire wars have been waged at the expense of the people we detachedly discuss. Washing away the nuance serves only one purpose: It is a deliberate attempt to move away from objective and honest analysis to reach a conclusion, in order to contort the facts to satisfy an already predetermined assumption. In Western media, including Sheffield’s Salon Talk, there has been an institutionalized effort to attribute societal issues to the Islamic religion, which is today’s Islamophobia cloaked in the noble guise of women’s empowerment. This has been done especially post-9/11 to assert anti-Muslim ideology in a way that oppresses Muslim women even further. Muslims make up 1.8 billion people. To illustrate just how colossal of a population that is, Christians make up the largest religion in the world at 2.2 billion. Islam is currently the fastest growing religion on Earth, and experts believe that it will surpass Christianity in the European continent by the year 2050. That’s a whole lot of people. It’s safe to say that Muslims come from every walk of life, every culture, and every country on the planet. Thus, it is undeniably impossible to attribute an act to what Sheffield refers to as “the Muslim World” as a whole. To do so is just as outrageous as saying that domestic violence is a strictly Christian phenomenon. The only way you can say so is by reducing this vast population of people into one homogenous, singular group — and that’s how dehumanization happens. It’s not like Muslim women in Muslim-majority countries need anyone to speak for them, either. There is not a single gender issue unfolding within their societies that is not being tackled by the powerful women directly impacted by it. They don’t need non-Muslim white women from the other side of the world to pity them, rescue them, or, worse, use their issues to justify Western, often state-sanctioned, violence against Muslim women in non-Muslim countries. In the service of so-called women’s empowerment, we choose to disempower Muslim women even further by speaking on their behalf. Plus, some Muslim-majority countries have already beat the United States in achieving women’s milestones: several, including Pakistan, have already elected their first female heads of state, while we’re still debating whether to vote for our first woman president over a completely inexperienced raging male bigot. By the same token, it is unfair, illogical, and utterly biased to expect Western Muslim women to speak on oppression experienced by Muslim women elsewhere, or to only be allowed to speak on the violence they experience in the West if they also talk about oppression in Muslim-majority countries. It might shock Sheffield and others who hold her views that there are Muslims in the world, including in the West, that have absolutely no connection to Muslim-majority countries besides their religious background. This expectation is the equivalent to saying that Christians in the United States, for example, must also speak on behalf of the experiences of Christians in England and France or elsewhere. This ridiculous demand of Muslim women is not only, first and foremost, a forced affirmation by Western society of their homogeneity — and, by extension, their dehumanization — but furthermore, as it commonly surfaces in conversations like this one with Sheffield, as a silencing tactic. By saying that I’m “lucky to be an American,” Sheffield says that women like me should sit down, shut up, and be grateful for whatever treatment we receive here, because at least it’s superior to those brown countries over there. The fact of the matter is that Western society does not like to tolerate Muslim women’s voices without hearing us denouncing the religious identities that distinguish us in the first place. In order for our voices to qualify and not be dismissed, as Sheffield says, as “otherwise incredibly talented and articulate” except on issues actually pertaining to us, we are expected to assimilate into a dominant narrative of what liberation should look like. That by far has been Western Muslim women’s utmost oppression. For more about the experiences of Muslim women in a post-9/11 world, check out Amani’s book, Muslim Girl: A Coming of Age, available everywhere books are sold. Is Facebook Violating the Fair Housing Act of 1968? True, christans like their own we Muslims like our own. But difference is we like ours and respect everyone else, but christans dont respect their own so they dont respect others . So we Muslims have to always deal with christan lies lies and nothing but lies . Whole idea of this life is to actually go against the evil (christans)so you can earn heavens .